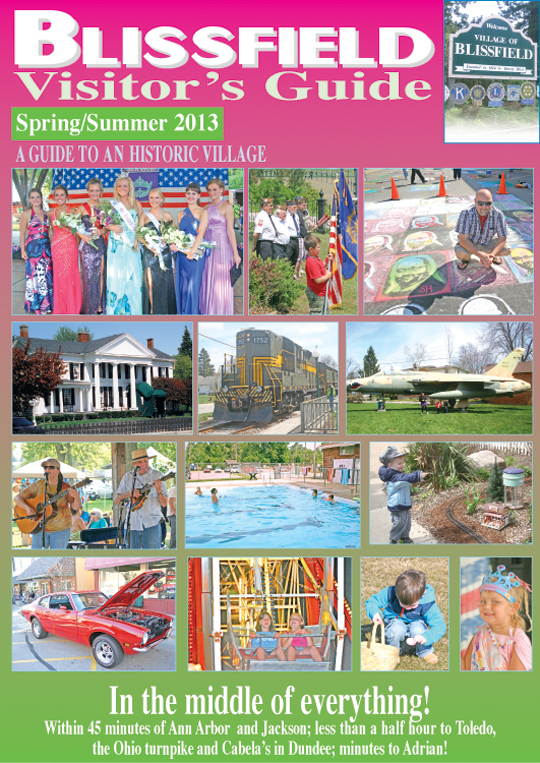 In the May 1, 2013, edition of The Advance, find the spring and summer guide to Blissfield Village and its activities. The guide will also be available in several Michigan Welcome Centers and area businesses. Find a spring and summer calendar; get the first peek at plans for the 30th anniversary of the Blissfield River Raisin Festival July 10-13; learn of things to see and local resources, too.